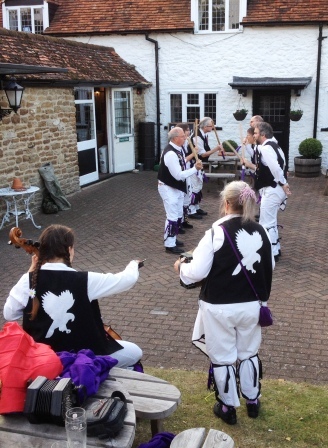 A great evening, delightful p ub, appreciative audience and great companions – Owlswick Morris! 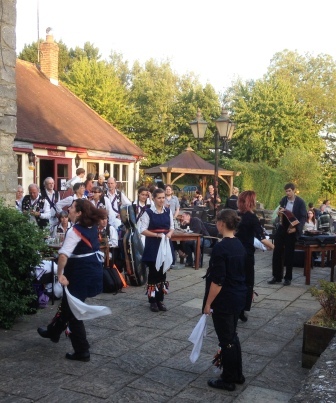 Look out for a return to here next year – assuming the beer was up to scratch! There’s that loving look – last seen at Westway! This entry was posted in Dance Outs on June 26, 2015 by Nigel Northcott. 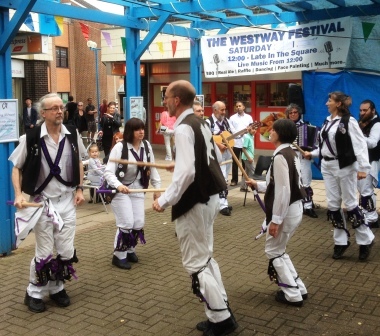 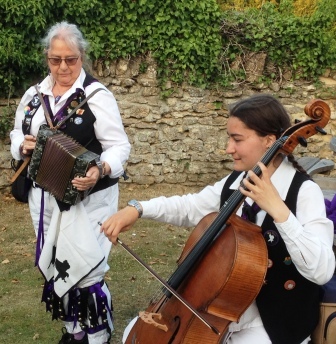 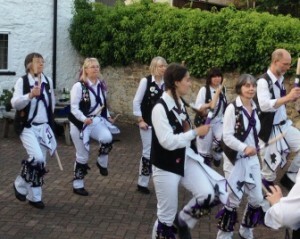 On a hot June day Havocs danced until they nearly dropped! Spot the dancer doing – Pete’s not that tall really and who fancies who – a longing glance across the set – that is reciprocated!! 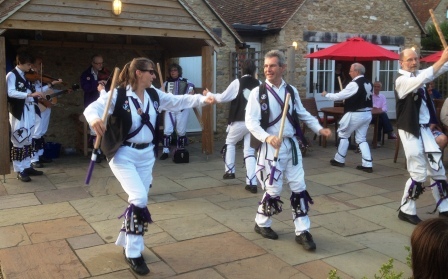 This entry was posted in Dance Outs on June 20, 2015 by Nigel Northcott. 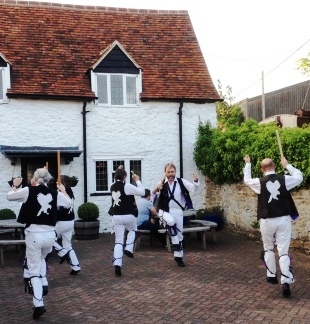 A rather cool ‘summer’ evening – a great way to celebrate Suzie’s birthday; a dance out with Summertown Morris in Old Marston, Oxford. 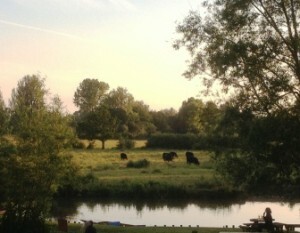 A delightful pub set against the River Cherwell and its water meadows – very Constable! This entry was posted in Dance Outs on June 19, 2015 by Nigel Northcott. 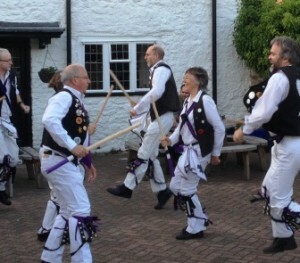 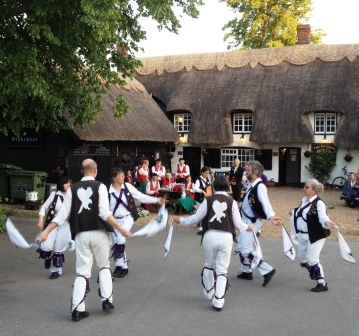 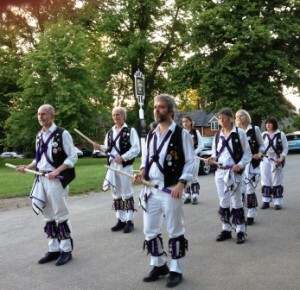 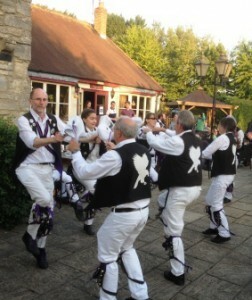 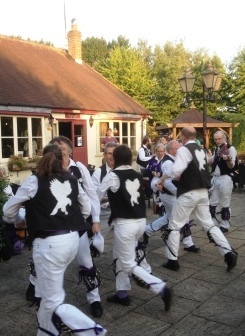 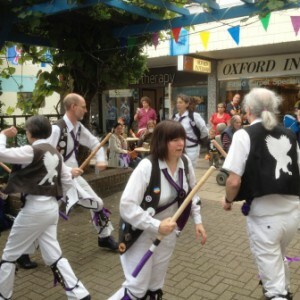 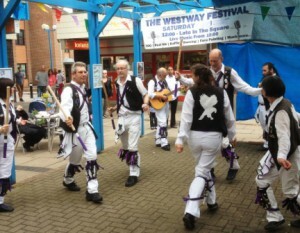 At last a sunny, warm summer evening at the Prince of Wales – a splendid turnout led to several dances with two sets. 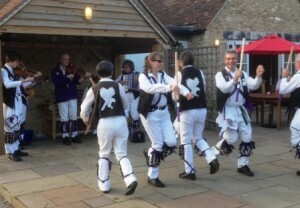 Just as well, in fact, there were plenty of us there, and we had no guest side with us. 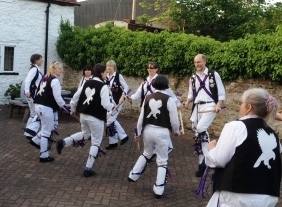 And so no opportunity to relax between dances. 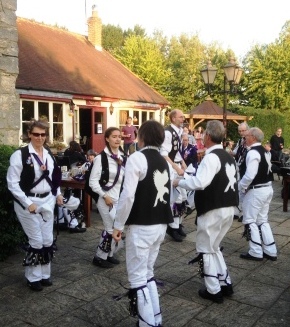 This entry was posted in Dance Outs on June 13, 2015 by Nigel Northcott. 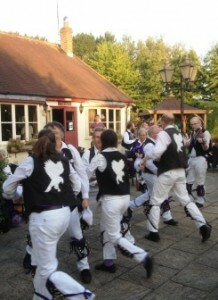 Dance out with Old Speckled hen – a delightful summer evening – warm weather at last greeted the two sides. 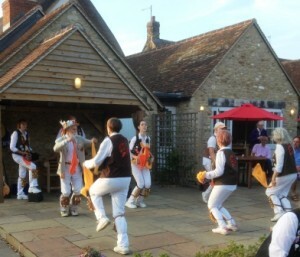 The weather was even good enough for the post-dance music session to take place outdoors. All in all, a fine evening. 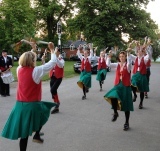 This entry was posted in Dance Outs on June 5, 2015 by Nigel Northcott.